For Dawn Casale and Dave Crofton (and their new little addition), an ample, but budget-friendly kitchen was on top of the list before making the move from their previous residence in Cobble Hill to their 2,400-square-foot townhouse in Boerum Hill, as featured in our Modern for Less issue. By enlisting Brooklyn design-build firm MADE to renovate their aging brownstone using salvaged materials and adding in clever storage-saving methods, the trio was able to squeeze in a splurge or three, such as the Carrara marble sink, Viking chimney wall hood, and a free-standing range by Bluestar. 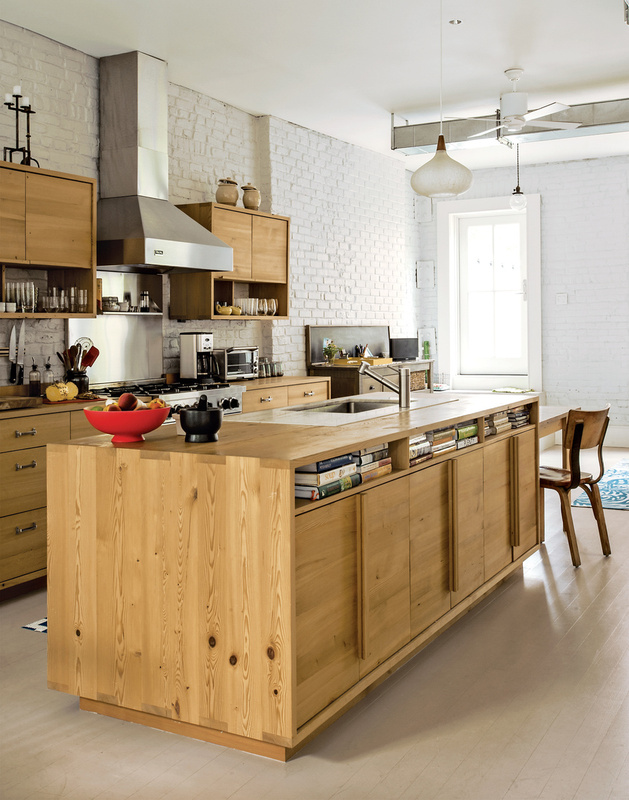 The kitchen island and cabinets were outfitted with remilled Douglas-fir beams salvaged from upstate New York and wallet-friendly drawers from Swedish furniture company Ikea.